Although you probably don’t think about your hot water heater very often, it is an important part of your plumbing system. After all, you rely on it to provide you with hot water on demand so that you can shower comfortably, do laundry, clean the dishes, and complete several other household tasks. When it starts acting up, it is common to feel a sense of panic as you begin to imagine life without hot water in your home. 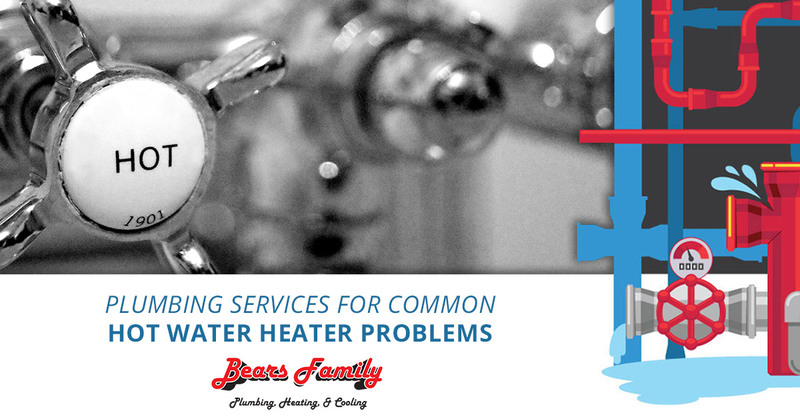 As a leading provider of plumbing services in Loveland and the surrounding areas, Bears Family Plumbing, Heating & Cooling knows a thing to two about hot water heaters and we are here to help you when you need it most. Check out some of the most common troubles homeowners experience with hot water heaters, then call us for service, repair, or installation today! Discovering a puddle of water near your hot water heater can be disheartening, and it may be difficult to tell if the leak originated from the top or the bottom of the tank. 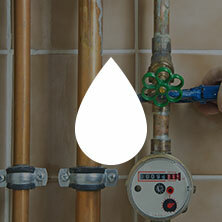 If you determine that it is coming from the top, it could be caused by a faulty valve or a loose inlet or outlet pipe. If it is from the bottom, it could be caused by condensation, over-pressurization of the tank, or corrosion. If corrosion is to blame, the water heater will need to be replaced. If you find yourself waiting longer than normal for hot water only to be disappointed when the water continues to run cold out of your faucet, there are a couple things you can check. The first would be to make sure there is gas flow and that the pilot light is lit. If this checks out, the thermocouple may be to blame. Our technicians can determine if it needs to be replaced or if it simply needs to be cleaned to restore hot water in your home. We are all familiar with the frustrating experience of running out of hot water while taking a shower. Thankfully the solution to this problem is often very simple. It is possible that the thermostat on your hot water heater is not set high enough, and it just might be that your hot water heater is not big enough to provide an adequate hot water supply for your families needs. If neither of these is the case, the problem could boil down to a broken or damaged dip tube, and this is something that is easily remedied by professional plumbing services. The pilot light in your furnace is a small gas flame that serves as an ignition source for the heater’s burner. If the pilot light won’t stay lit, it is possible that a wayward downdraft from a partially clogged vent could be to blame, or it is possible that the gas valve or thermocouple needs to be replaced. If the pilot light won’t light at all, this could indicate a problem with the gas line, which is definitely not a safe DIY job. The water that comes out of your faucets should be crystal clear. If you have noticed that your tap water has taken on a rusty color, it might be time to call for professional plumbing repairs. 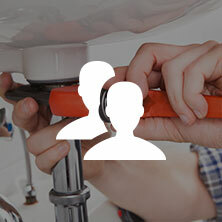 An experienced plumber will perform an inspection to determine the source of the discolored water, which may be as simple as a corroded anode rod or as complicated as a corroding tank. In either instance, full replacement of the hot water heater may be warranted. Just as the water out of your faucet should be crystal clear, it should also be odorless. Many homeowners are surprised when they discover their tap water has an odd smell to it, and often times, it is caused by a buildup of bacteria in the hot water heater tank. Turning up the thermostat to about 140 degrees is a simple remedy (just remember to turn it back down!) that can kill off the bacteria, as is flushing the tank with chlorine bleach. If the problem persists, you may need to call your local plumber for anode rod replacement. Have you discovered water on the floor surrounding your hot water heater, been disappointed by water that is too hot or cold, or had a hard time keeping your pilot light operating properly? 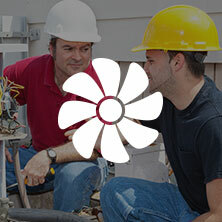 If so, Bears Family Plumbing, Heating & Cooling is here to provide you with industry-leading plumbing services. We can inspect your hot water heater to determine the cause of the problem and provide you with a repair estimate. Likewise, if your hot water heater needs to be replaced, we can do that too, regardless of whether you want a traditional replacement or if you are interested in upgrading to a tankless water heater. Call us today to learn more about our plumbing services in Loveland, Fort Collins, Berthoud, and the surrounding Front Range cities.